Probably more than any other character in literature, Ebenezer Le Page comes to life as the most flesh-and-blood real. He’s an ornery old man who’s lived his whole life on one of the channel islands (Guernsey) and through an accumulation of stories he slowly reveals a full and rich life. His voice is unique, with a charming patois and much humor, and his story is an extremely moving one, with real characters you fall in love with. This is the only book the author has ever written. Read it. 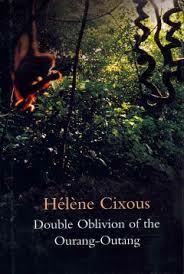 I’d only heard the name Cixous associated with literary theory, and that’s not an area I cared for much. However, I had the good fortune to discover that she also wrote novels… many of them, which are mostly ignored by her more academically-inclined fans in American Educational Institutions. Well, I say “novels” but really this is a blend of novelistic fiction, memoir, literary essay, poetry, and pure creative thinking through and through. A truly uncategorizable book that had me riveted. A 1,500 page re-telling of Genesis 27-50 does not sound fun, but that’s exactly what this book is. It was a page-turner, full of philosophical goodies, action/adventure, dramatic twists and turns. Even if you know the story (as I did, vaguely), this will give you new perspective. What is most impressive about this book is that Mann was able to inject every little detail of the story with moral ambiguity and human complexity. He really just uses the Bible story as a springboard for something much greater. You can find my reviews for all of these books and more on my Goodreads page.